Self esteem building is easier if you know what the signs of low self esteem are. Recognising and acknowledging these traits in your personality lays the groundwork upon which you can successfully learn how to gain confidence in yourself. You first have to accept who you currently are before you can really create positive change within yourself. If you exhibit some of these signs of low self esteem be assured that understanding and accepting them is the best way to start the process of building self confidence. Low self esteem doesn't really respect any boundaries of culture, age, gender or even socio-economic status. Imagine a group of 5 or 6 people, all of them successful and capable. One of them will, for whatever reason or combination of reasons, feel less "worthy" than the others. Even some people who outwardly appear attractive and popular and who may also even have medium to high socio-economic status can in reality be in a turmoil of self doubt and self loathing behind the mask. Many of the indicators of poor self esteem and lack of confidence are common to all who live with them, irrespective of background and/or "status", young or old, male or female, affluent or not so affluent (someone could be good with money but still suffer from low self esteem). They all frequently apologise for themselves even when clearly unnecessary, tend to be generally quite pessimistic and negative in outlook, and find it difficult to be assertive, often agreeing to things that they don't actually want to do or even like. Feeling unable to make firm decisions or at least being reluctant to make firm decisions is another trait indicating low self esteem. You feel that your choice or decision will likely disappoint or somehow offend others, or may somehow have negative consequences, so you tend to let others make all the decisions. Another common indicator of poor self esteem is feeling unable to accept compliments or praise at face value. Of course sometimes people will praise or compliment someone without really meaning it, but in the case of someone who lacks confidence in themselves praise or compliments always seems to be somehow unfounded. Your low opinion of yourself makes you feel that you just can't believe it to be true. Compulsively making comparisons between yourself and other people - with you always coming up second best - is another sign of low self worth. Your body language and manner of speaking also conveys how you really feel inside. Other people will consciously or unconsciously - usually unconsciously - pick up on this. Someone with poor self esteem and low confidence will unconsciously try to make themselves appear smaller and less noticeable, often walking with a slightly "shrunken" posture, head inclined downwards and will speak in a way that can tend to give the impression that they don't really want to say whatever they're saying. It's also sometimes the case that people who come across as being confident but also cocky and egotistic, in other words "full of themselves", are actually trying hard to conceal from themselves and others a subtle but deep-seated sense of inferiority. 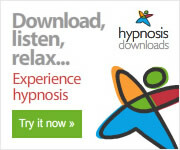 In terms of hypnosis and other methods of treating low self esteem these people are often the most difficult to get positive results with, mainly because they are being fundamentally dishonest with themselves by refusing to accept that they do often feel weak and inferior deep down. Their insistence on pretending otherwise blocks the path of any inner psychological and emotional progress in building genuine, healthy self esteem. If you feel that you're being held back in life by a sense of low self worth and recognise some of the above mentioned signs of low self esteem as being applicable to you and if you wish to change things for the better, then you first need to give yourself a rigorously honest self-appraisal of who and where you are in life right now. Self acceptance is the first stage on the road to becoming a person with self confidence and healthy self esteem. The second stage is where you build on that self acceptance by using the power of hypnosis to reach into your all-powerful subconscious mind and change negative self belief into positive self belief.